The festival offers a competition for young illustrators open to all aspiring artists aged 16 to 25 and completely free of charge. Every year the artistic director of Inchiostro Festival selects 10 works to be exhibited at the next edition, while the headline artists at the Festival will choose a top three to be invited to the festival the following year as guest artists. This award goes to the best engraving made in the competition. 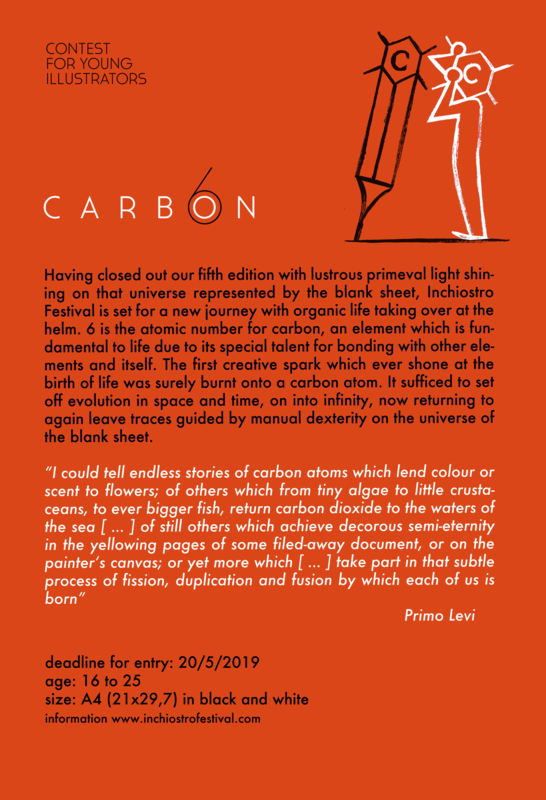 The winner of the Franco Sassi Prize will win a workshop session to print his own limited edition work (50 copies) to be produced at one of Inchiostro Festival partner art print makers.